A good selection of car products amongst other useful, funny and important gadgets and other consumer electronics from online shop e-ville. 5/5 Klart intressant att utrusta fordonet med en GPS sändare till en överens komligt pris. 3/5 Ei tullut koskaan laitettua omaan käyttöön, mutta vaikutelmasta päätellen tälläistä laitetta tarvitsevalle on hyvä väline. Hintaansa nähden todella halpa. 3/5 Hyvä perus malli. halpa. joutuu soittaan aina gps;sään. toiminu jo usean vuoden. 3/5 Toimiva laite, ainoo vaan että joutu maksamaan tullit joten hintaa tuli melkein 100€. Jos haluat tämän et oikeastaan voita mitään koska saman tuotteen saa suomesta samalla rahalla. A very useful device to have for your car! With the GPS tracker, you can turn off your car engine by SMS anywhere in the world, and set a variety of automatic alarm as well. The included software also lets you locate your car in real time, allowing you to map and monitor its speed! Good for taxi operators or car rental companies that need to keep an eye on their vehicles. A great device that any concerned car owner should have to ensure the safety of their ride! Included GPS tracker, antenna, necessary cables and connectors, clear instruction manual (in English) and software CD. 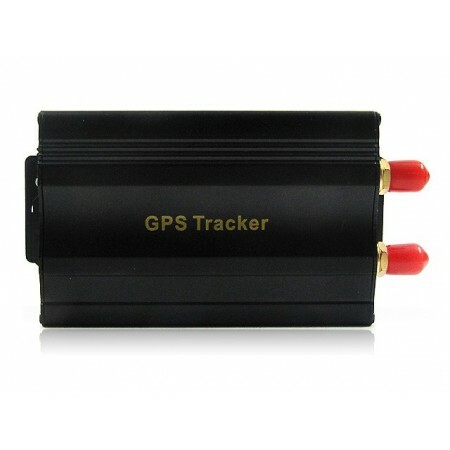 https://www.e-ville.com/en/3034-other/2943-gps-sms-gprs-vehicle-tracking-system.html 2943 GPS-SMS-GPRS Vehicle Tracking System http://www.e-ville.com/img/p/2943-3585-fb.jpg 44.95 GBP InStock /Car Products/Other /Car Products 74.95 A great gadget to have for any serious car owner whom wishes to ensure the safety of their car. This device allows one to monitor your vehicle in a variety of novel ways, giving you the car owner piece of mind. Highly recommended product!